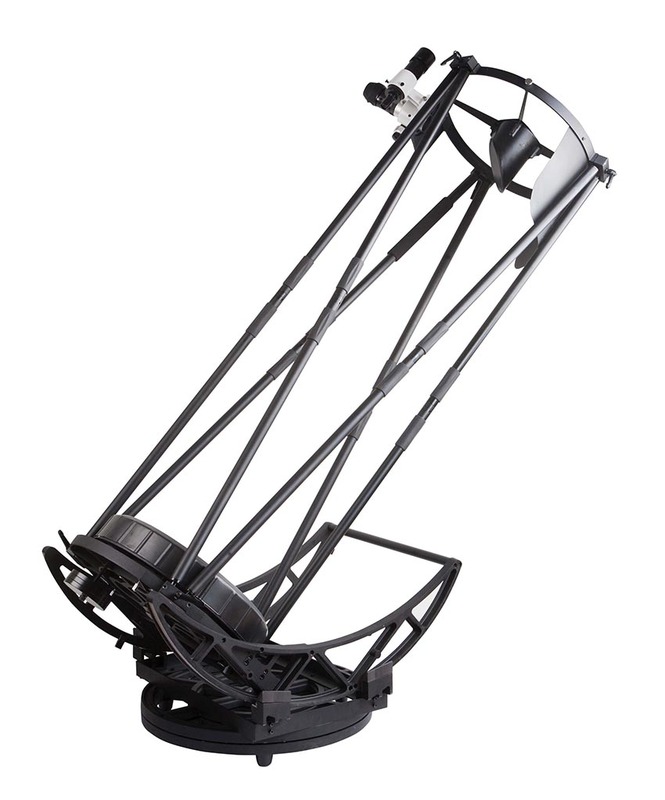 With the largest light bucket in the series, the Sky-Watcher Stargate 20" f/3.9 Truss-Tube Dobsonian Telescope gives users exceptional performance with a low dollar-to-aperture cost. Proprietary aluminum mirror coatings ensure maximum reflectivity, and a fused conical parabolic primary mirror design allows for thinner mirror construction. This provides faster cooling and lighter weight while also correcting spherical aberration to eliminate distortion across the entire field of view, especially at the edges. 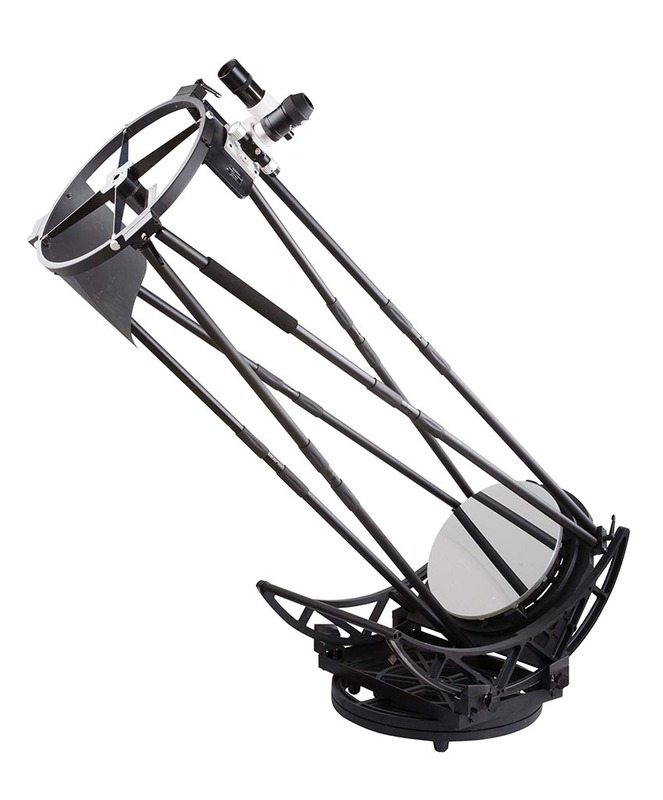 This telescope's large 20" aperture draws in a tremendous amount of light to reveal awe-inspiring details of the Moon and planets. Deep-sky objects will be visible even for inexperienced observers and bright star clusters can be resolved to their core. 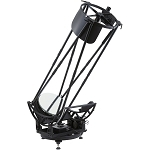 Its f/3.9 focal ratio and dual-speed Crayford focuser makes this an ideal choice for imaging. The fast focal ratio enables devices to capture images in less time than slower scopes, while the focusing mechanism gives it the ability to achieve tack-sharp focusing with zero backlash that rack-and-pinion focusers are generally unable to accomplish. 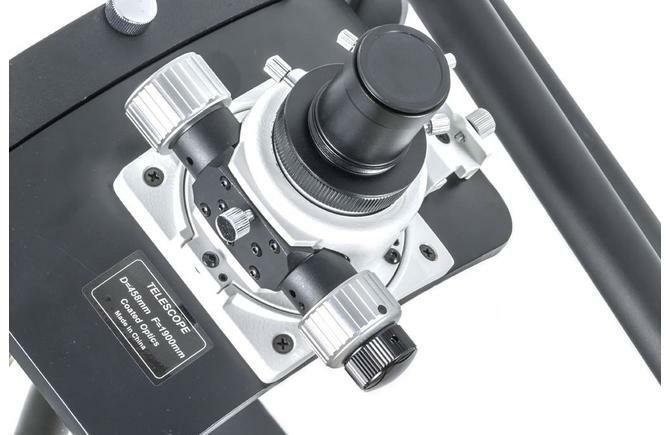 This 2" focuser will accept larger eyepieces so users can enjoy a truly immersive visual experience and will ensure larger imaging sensors are completely covered. 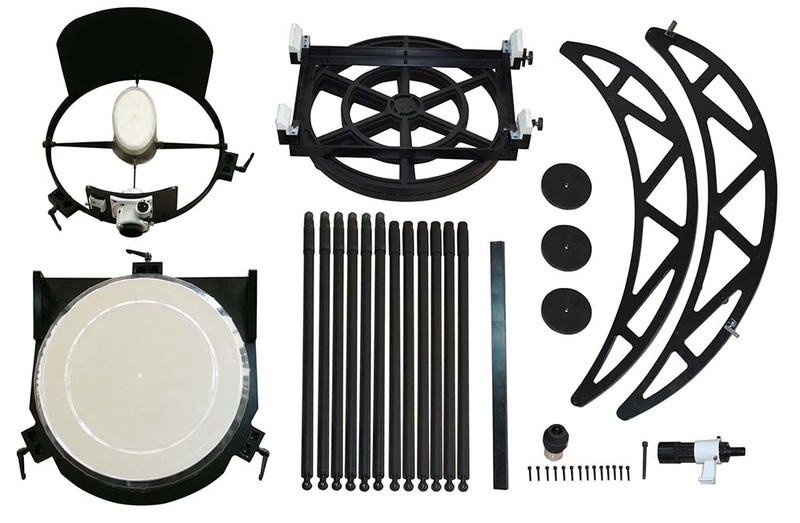 Its truss-tube construction and simple assembly enable a virtually complete breakdown for easier transportation and storage, with an assembly time of less than 20 minutes. To help block stray peripheral light and internal reflected light, Sky-Watcher includes a ribbed fabric shroud that completely covers the open trusses, giving users the convenience of the truss system with the performance of traditional solid tubes. The rocker box weighs in at 70 pounds and provides a rock-steady observational platform with very low vibration. Box Dimensions (LxWxH) 34.6 x 34.5 x 14.0"